ARE YOU ON A JOURNEY SEEKING SAM PERFECTION? The future of Software Asset Management is here. 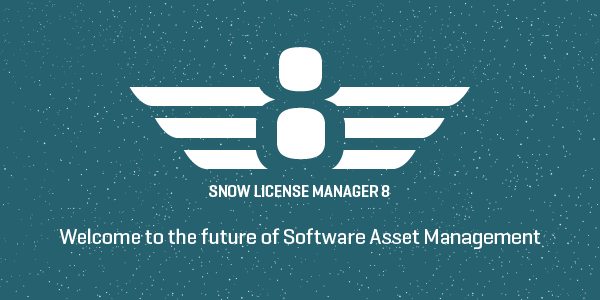 Meet Snow License Manager 8. A SAM platform which delivers license management and software optimization across the organization by enabling greater transparency, forecasting and reporting. Datacenter Optimization – Make greater savings in the Datacenter and light work of complex licensing models. Transparency of Software Consumption – Get complete visibility of software usage & successfully optimize your software assets. Full Integration with IBM technologies - Enable you to directly manage PVU licensing. Simple Management of Multiple Software Versions - See a consolidated view of your total investment, compliance risk & overspend. Forecasting and Trending – Understand trends, forecast & future proof your software investment. Enhanced Management Reporting Dashboard – Get all the information you need at your fingertips - in one single view. Visit our blog and watch our series of videos on the exciting new features in Snow License Manager 8.